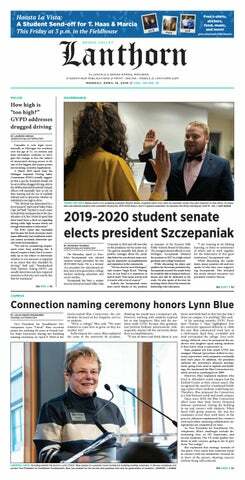 Currently, the Grand Valley State University student senate maintains and manages more than $1 million of the total student life fund. No matter how you look at it, $1 million is a lot of money and distributing it to those who will use it best is no easy task. Thanksgiving is a lot of things. It's a time to catch up on sleep, eat good food for a change and an opportunity to spend time with family members you haven't seen in a while. However, when you put together several generations of people right after a controversial presidential election and stuff them full of turkey and liquid courage, that's a recipe for familial fighting. As the temperatures begin to drop and the prospect of snow is in the near future, this is prime time for charities to reach out for donations for their respective organization. There were 716 million election-related posts on Facebook on Election Day. From comments to shares to likes and dislikes, the American population had a lot to say. During the middle of the night Tuesday, Nov. 8, campus had a different feel to it. Books and pencils were pushed to the side, sleep took second priority and students watched on as the votes for the 2016 presidential election flooded in. The Grand Valley State University Board of Trustees approved the allocation of $46.5 million for an 84,000 square feet building and parking development during its meeting Friday, Nov. 4. The new building will be constructed at the corner of Lafayette Avenue and Hastings Street on the Medical Mile. Trump's process for delivering information is one based on evoking fear instead of presenting the facts. He knows how to manipulate an audience and he knows how to get people on his side even if the evidence isn't there to his claims. Lately, it seems that when police departments are seen on the morning news more often than not, it is for an unfortunate reason. Whether it be a scandal within a department or an act of unnecessary violence, there is an apparent mistrust between the current community and police officers. The racks of clothes at Goodwill are bare, the wig section at Meijer is empty and the shelves of alcohol are looking dangerously low. In a college town, this can only mean one thing: Halloween weekend is approaching.